Here you come to know about a splendid and time saving 100% free accounting software in which you can finalize your accounts upto balance sheet through importing data from any inventory software except bill creation & modification. Moreover you can also maintain customer’s account. All types of vat forms are available according to state wise and you can file e- return online. You can update your software yourself. 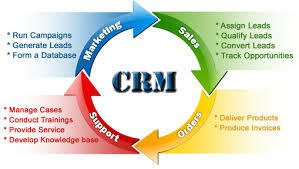 We built our CRM to easily wrap around your business and industry requirements. This is way beyond standard sales force automation. Maximizer CRM can be securely deployed a number of ways: On-premise, hosted in the cloud, or in a highly secure data center. No matter the incoming channel (phone, email or web), ensure every interaction is followed-up eﬃciently by tracking case assignments and escalations to ensure all of your customer issues are resolved. Monitor crucial customer service metrics through dashboards, reports and alerts, and immediately react to critical service issues that require attention. Track the performance of your service team across deﬁned metrics that matter most to your business and your customers. Avoid duplicating eﬀort by arming your customer service representatives with access to updated, detailed product information within a shared knowledge base. Share successful incident resolutions, service case details and a library of frequently asked questions.